A Record Year for Dugopolje – Up 72.5% on 2016! Located just off the motorway from Zagreb to Ploce, Dugopolje is for many motorists the entry point to Central Dalmatia. Often overlooked by visitors heading to Split and the islands, things are changing, and rather rapidly! 2017 was a record year for the small town, with a commendable increase in tourists of some 72.5% on 2016, with more than 50,000 visitors coming to Dugopolje. The popularity of four-star Hotel Katarina has played a large part in that rise, but there have been other factors, such as the development of the region’s cycling tourism offer. 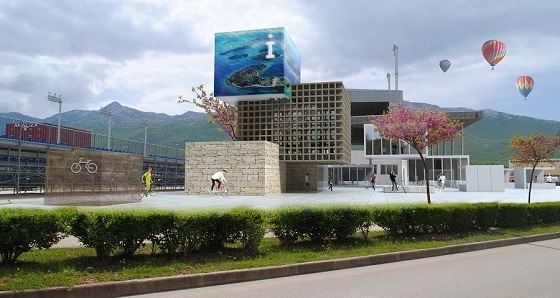 Work on the new Central Dalmtatia Tourism Visitor Centre continues, which will be one more reason to pop into this charming town, which offers much more than a motorway exit. 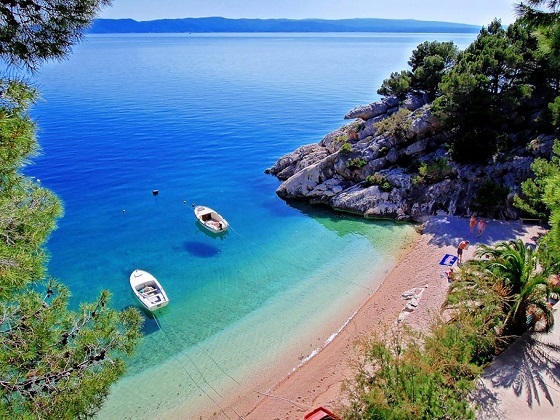 Makarska is one of the most popular destinations on the Adriatic – and no wonder! With excellent hotels, endless beaches, a vibrant nightlife and access to some of the clearest water on the planet, it is an ideal destination for those looking for a little sun, sea and fun. With so many beaches to choose from in the immediate vicinity, it won’t take you long to find the beach of your choice. A new promotional video from the Makarska Tourist Board was released earlier this month, with some create footage of this beautiful destination. Check out the video below and learn more of what Makarska has to offer here. Where is the Most Beautiful View in Dalmatia? The New Klis Webcam, Perhaps? It is a view that has been enjoyed by many over the centuries, a strategic stronghold also known as the Gateway to Inland Dalmatia. Klis Fortress is one of the most stunning historical buildings in Central Dalmatia, and its rich history has now been complimented by the recent global interest in the fortress due to its recent film set location for hit HBO show, Game of Thrones. There has been a quiet improvement of the tourism infrastructure over the last few years to meet the rise in demand, and you can now try your hand at archery and watch live sword fight demonstrations during your tour. The most recent addition has been a webcam, which is available 24/7, allowing you to share the breathtaking views of Split, Brac and Ciovo from the comfort of your own home, as you plan your 2018 visit to Central Dalmatia. Check out the view from Klis right now via the webcam. To learn more about Klis as a destination, click here. There are exciting times for tourism in Central Dalmatia. 2017 was a record year, and all the signs are that 2018 will break all records. The number of new flight announcements is extremely encouraging, with one airliner – SAS – planning no less than 80 flights a WEEK in peak season. Passenger traffic in 2017 will pass 3 million at Split Airport, and work is ongoing to build a new terminal and expand the capacity to meet this surge in demand. As you can see from the video below, work is proceeding along very well, and the new terminal is on schedule to open in June 2019. The new terminal will make the arrival to your favourite destination all the smoother and give the best possible start to your holiday in this beautiful region. With thanks to Avioradar.hr for filming the video. The island of Vis is set to shine on the international stage. One of Croatia’s most idyllic islands, and closed to foreigners until as recently as 1991, Vis played host to some of the world’s top movie stars last September, as it became the film set for Mamma Mia 2: Here We Go Again. The film is due out later this year, and the original trailer was released over a month ago and quickly racked up over 20 million views. Now check out the second trailer which has just been released. Doesn’t Vis look magnificent? To learn more about the magical island of Vis, click here.